If you were to drop by my school for a visit, you may be surprised by the sound of power tools operating in the distance. No, we aren’t under renovation but we are under a bit of re-imagination about what our kids should be doing with their time in school. I know that my school isn’t alone in this endeavor as many are abuzz about Makerspaces today. 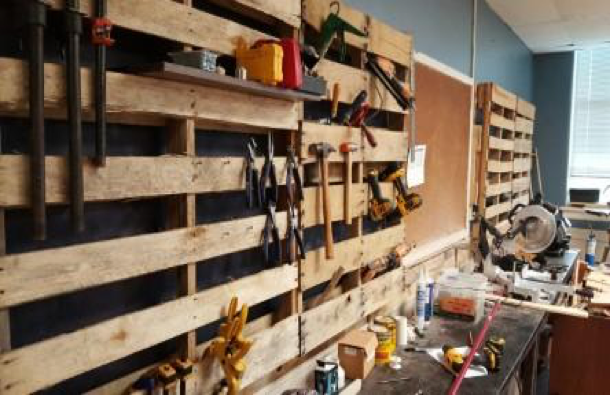 The idea is to offer space, materials, and tools for students and they create real and relevant products. The products display what they are learning and enhance the depth of what they are learning as they are in the creation process. There is good thinking behind this notion and it has been with us since we first ventured into educational reform. Our school is seeking to create an environment where utilization of tools and creation of projects with products are as common as taking tests, writing papers, and using a laptop. It is true that we have some unique opportunities at Frankfort High School, but I believe that other schools where I have worked can benefit from these spaces and make them work in their unique circumstances. We can all better engage our students with the implementation of makerspaces that require deep thinking and develop real, employable skills. How it startedOur school operates on a year-round calendar. I had a group of students hungry to keep learning science “stuff” even after the AP Chemistry test. 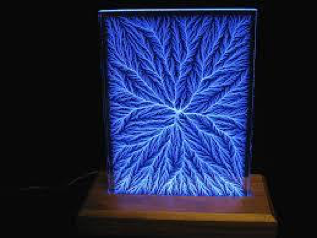 One group of kids pestered me about Lichtenberg figures and another group wanted to investigate solar panels. Student created passion projects were born. I have a background with physics and teach as an adjunct professor at a local university. In my great wisdom, I thought I would have to teach them basics before they could begin. I was wrong. These kids had researched and gathered materials before I could get my thoughts together. They were telling me what they had learned and what they wanted to try. They found what they needed through different resources and had developed their own plans. All I could really do was facilitate. My great questions led to a deeper understanding of what they were trying to accomplish and how it was all supposed to work. The solar cell group ran rather smoothly and developed their product over the next few weeks. They were disappointed when their cell only generated 4.5 volts. Really? They studied, thought, planned, and created a device that generated a voltage supply from the sun equal to about 3 AA batteries and they were unimpressed with themselves. They couldn’t imagine that anyone else would be interested in what they had accomplished. I had to walk them from class to class to show off their work. There wasn’t a single student or faculty member that responded with anything less than a “Wow”. The other group had tried several iterations of their project with no luck when they came to break the bad news. They needed to supply a potential difference of around 2.2 million volts to their Plexiglas block to get it to work well. They knew that they needed a particle accelerator for the job and were well aware that I didn’t have one just laying around. They also told me that a local hospital had an electron accelerator that would work. They called, and we were scheduled to come in and use it for their experiment. The reality was that it hasn’t worked yet, but the kids were excited about what they had learned, created, and excited to take it further. The kids haven’t given up on the project. They are developing plans to construct their own linear accelerator just so they can make this work the way that they envision it working. I was amazed. Traditional class had been over for weeks, but our understanding was still growing. I never intended to teach them the concepts that they learned through these projects. They learned more than I would have designed for them had I prepared to arrange for these investigations. They came up with the questions and they sought their own answers while connecting it to previously understood content. They were captivated by the work and dug in deep to learn what they could so that they could turn their dreams into reality. They experienced struggle and setback, but worked through it all to get to a resolution of some sort. They were proud of what was accomplished but still wanted more. Their success fed success and fed the desire to learn more. That is the purpose of Makerspaces. That is what we created at our school. We have made available a full wood shop, a metal shop, and a Movie and Audio studio that are available for our student throughout the school day. If students have need to create a particular project then we are striving to offer the tools, the time, and the space to produce a quality product that displays all that they have learned and applied. Please check out our site to see some student interviews and some samples of the work they are producing (https://frankfortmakerspacestemshops.wordpress.com/). We want to see our kids develop an entrepreneurial mindset. We want them to take all that they know and apply it to new and unique situations that they find interesting. We believe that we will find that our kids will learn content at a much deeper level by learning it in context and with the purpose of producing a product of which they are proud to present to display all that they have learned and accomplished. Making it work at Frankfort High SchoolWe are a Summit Learning school. We have nearly full year under our belts and are beginning to wrap our heads around what this truly means. Our students have classes for six periods a day and have a period for mentoring where they work on goal setting and deriving plans for accomplishing their goals. Each course has Focus Areas (you may call them learning targets) that students work through at their own pace making use of lessons, activities, notes, presentations, and videos available to them on a play list. When they believe they are ready, they can test over the Focus Area. If they earn at least an 80% on the test then they are said to have mastered the content and they move on to the next topic. Concurrently, they work on projects that require them to display content knowledge in a real and authentic way. 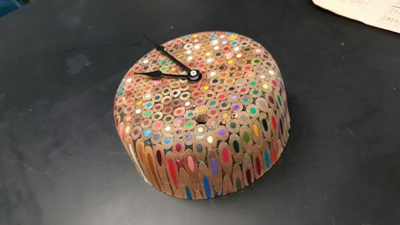 Class time is typically focused on helping students work through their projects with a focus bent toward Cognitive Skills such as Designing Processes and Procedures, Hypothesizing, and Justifying/ Constructing Explanations. These projects require that the students learn some content more deeply than other areas and helps them to develop employable skills and expand their thinking strategies. Their scores for Cognitive Skills on these projects account for 70% of their grade. Completion of Focus Areas accounts for the remaining percentage of their grade. It is a wonderful system, but it is not a magic bullet, it isn’t perfect, and it isn’t as easy as it may sound…. but it is proving to be effective. Because of this program there is more latitude for students to work on different projects and in different environments throughout the school day. Our Makerspaces are designed to foster creativity as they work through the assigned projects in each of their classes as well as creating an inviting place for them to expand their thinking and try some of their own ideas simply for the sake of doing something they find interesting. We are trying to free up the schedule to permit students time to do as they please to meet the goals that they have set with their advisor and meet the requirements of each of their classes. As of now, students are permitted to use the shops as they have need and have received approval. 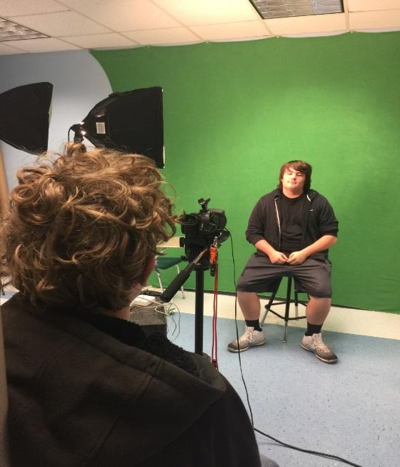 Slowly, we are making greater use of the spaces, particularly in the video production lab as many classes require at least one video presentation as one of their projects. Our jobs as educators is to present our kids the opportunity to apply content in an environment rich with challenges that will help them dig deep into the learning. We started making that transition some time ago but have often allowed ourselves to get sidetracked with performance evaluations, mandated testing, and college and career goals. All of those measures are important and help reveal how well our students know what they know and how well they can apply what they have developed, but we are now beginning a focus on opportunities afforded by Makerspaces that allow the students to learn what we need them to know through a vehicle of student initiated projects that will guide their learning. Alan Perry teaches high school at Frankfort Independent. See more of Alan's students and what they are working on at his website, Frankfort Makerspace Shops: Manufacturing Reality from Student Dreams.